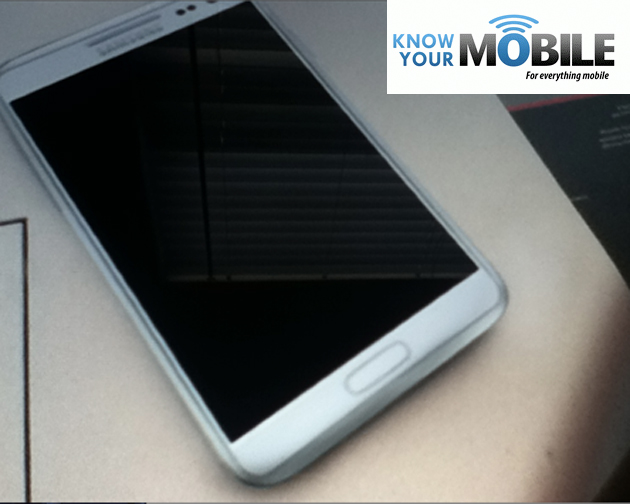 Thanks to a tipster of Know Your Mobile, this is the first full frontal shot of the mysterious Galaxy Note 2 from Samsung. Just days ago, we wrote up another leaked image of the device’s bezel and it looks exactly the same, even that huge home button along the bottom. Unfortunately, it looks like Samsung is sticking with that darn button. Along with the picture, the tipster has confirmed a 5.5″ display size, one of Sammy’s Super AMOLED displays (no specifics), their new 1.5GHz quad-core Exynos chip inside, 2GB of RAM, and Jelly Bean. Official unveiling of the device is to take place later this month at IFA in Europe. 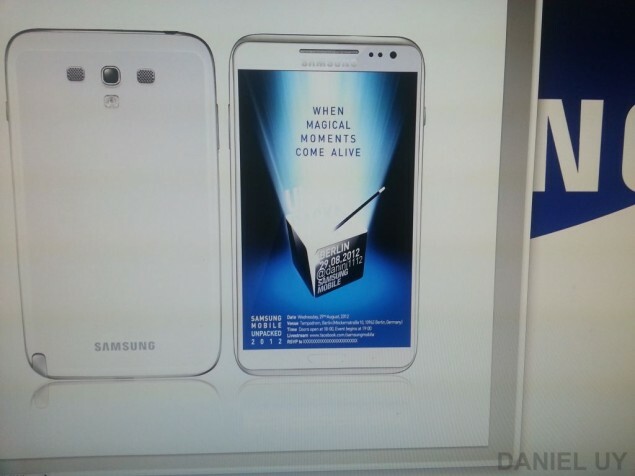 Update: Just as we posted this, another picture has leaked! Update 2: As with any other leak of this type, let’s try to remain hopeful, but also skeptical. That’s the nature of the Internet. In a world of a shady tipsters and fantastic Photoshop work, let’s take these as just a small stepping stone until official reveal at IFA later this month. Thanks, folks. What are your thoughts? Anyone else hoping they ditch the home button before August 29?